Photographer Matthew Turley grew up in southeastern Idaho, backpacking and skiing with his family in the nearby Teton range. 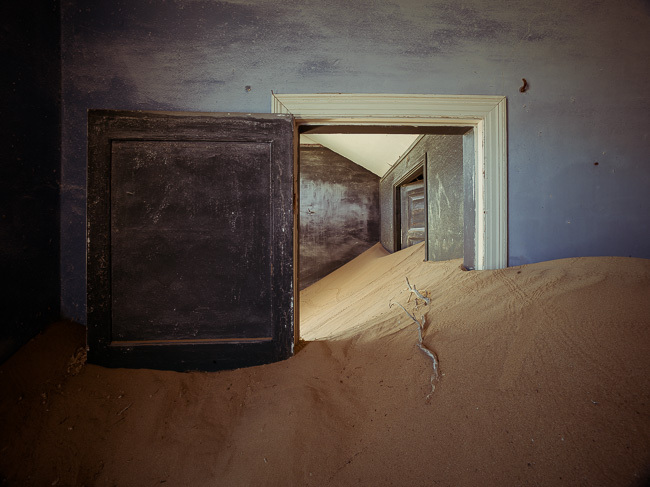 His love of photography coupled with a lifelong affinity for exploring the natural world has led to over a decade of working on locations worldwide. 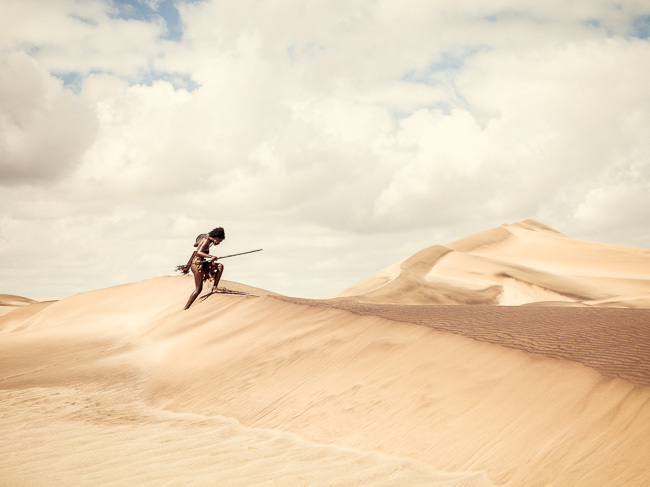 No stranger to far-off destinations, Turley had been longing to shoot in the African desert for quite some time. In 2014, after several years of dreaming, Matthew Turley decided to make his dream a reality. 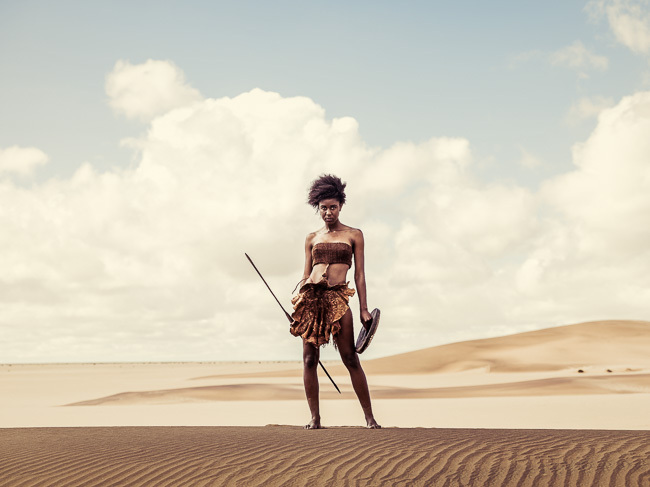 Matthew Turley said he’d been wanting to shoot a fashion series in Namibia since South African producer Kim White showed him some photos of the country in 2010. But there was never an opportunity to pull the project together. After four years of dreaming of the desert, he bought a ticket and headed to the airport. 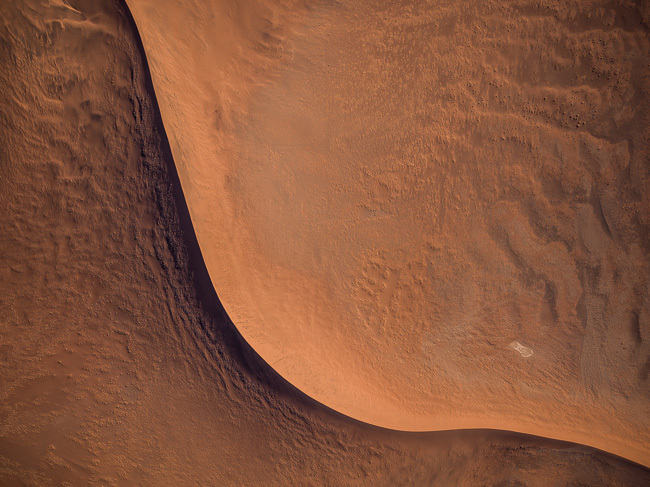 He landed in Windhoek, Namibia’s capital, without a plan or even a reserved hotel room. Turley says the “no plan” plan usually isn’t a problem for him since he can work things out as he goes, booking rooms and excursions on his smartphone. Unfortunately, AT&T shut down his phone and data access shortly after he picked up his rental vehicle for security measures—he had run up nearly $1000 in data charges. Matthew had already purchased the Southern Africa map set for his Garmin GPS and the Land Cruiser he rented had its own GPS system, so getting around should not have been problematic. In another twist of fate however, the map file on his Garmin had gotten corrupted and the Land Cruiser’s GPS didn’t have a map for Namibia. “I was essentially lost in Windhoek for nearly 18 hours. I couldn’t find my way back to the rental car agency and public Internet access is virtually impossible to find,” he said. The Land Cruiser came equipped with camping gear, including a tent, fridge, water, and stove, two spare tires and an extended-range fuel tank. 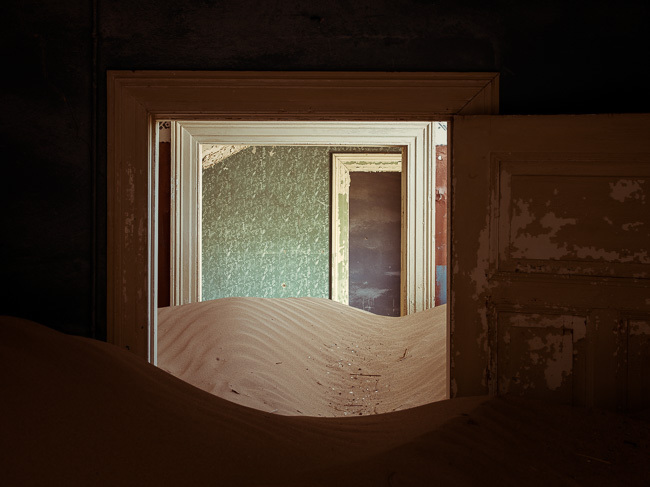 With the second-lowest population in the world, a month alone in Namibia’s vast emptiness was a sublime personal experience for Turley. “I often prefer simple, graphic compositions and was thus drawn to the country’s stark landscape,” he said. Turley was virtually alone for the next three and a half weeks. 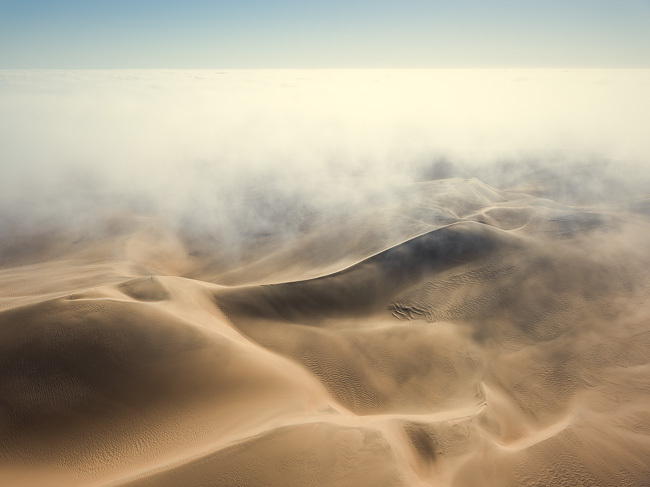 He headed to Sossusvlei, an area known for having some of the largest and most expansive sand dunes on earth, where he hired a pilot and shot aerials of sand dunes and Atlantic coast, which is accessible only by air. 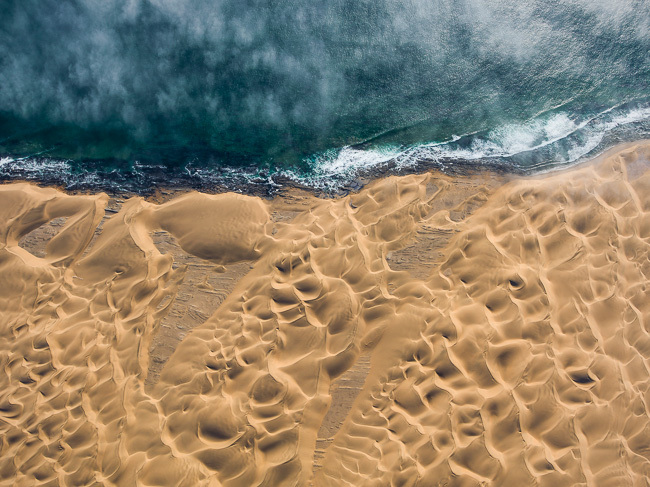 It took an hour just to reach the coast, flying over an endless expanse of dunes, leaving only 35 minutes of fuel for actually photographing the coast. 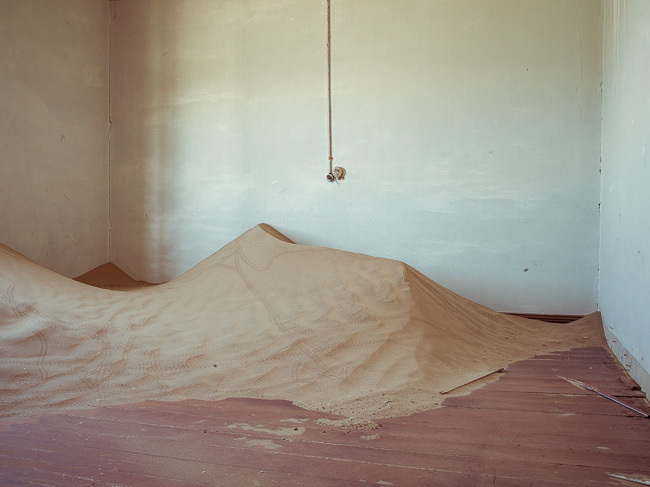 In Kolmanskop, a deserted diamond-mining town from the early 20th century, Turley shot homes filled with sand. 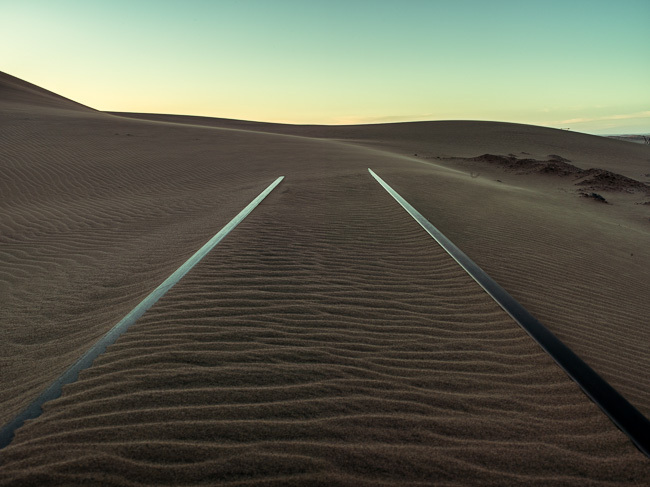 At night, he sat alone on the quiet desert salt pans, as far away from another person as he’s ever been, and under the brightest night skies he’s ever seen. 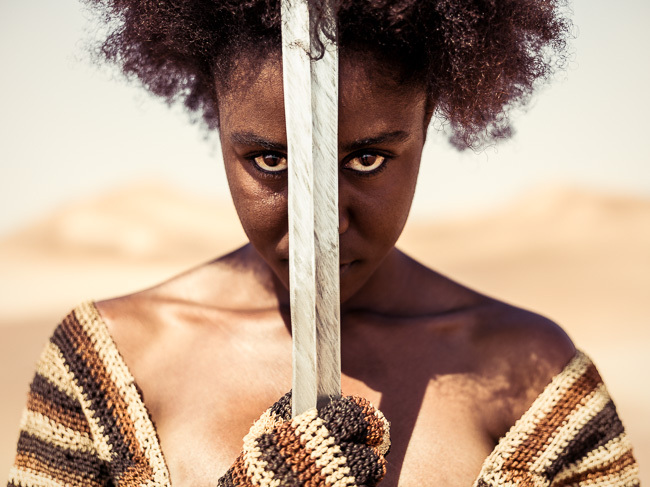 And, as luck would have it, on the second to last day of his trip, he met a beautiful Namibian waitress with an interest in modeling who was excited when he explained his original creative vision for shooting in Namibia – somewhere between a fashion series and ethnic portraits. The next day, they went out and shot together in the desert.